Business Summary: Neighborhood Parcel of Tewksbury MA offers both domestic and international fax services for as low as $1.75/page. 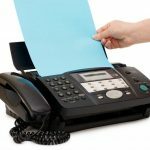 We offer a full-service fax service, so you only pay for a complete job! Unlike Staples and FedEx Office, our staff will ensure that your fax gets transmitted successfully before you pay! We will provide you with a Fax confirmation sheet showing a time stamp of the fax being received at the other end.